QuickBooks 2012 is coming out this month, is it a good update? The short answer is “yes”, but with my usual cautionary statement of “wait until it matures a bit”. I don’t recommend that you use the “R1” release of QuickBooks in any year – the R1 release is almost like a second stage “beta release” as it is pushed out to a lot of users. Although Intuit tests the first release a lot, it is hard to get it into EVERY kind of installation configuration that there is. Often we see that some problem that was overlooked in beta testing is found in the R1 release. What are the best new features? Here’s my short list of features that I like in Quickbooks 2012. For a more detailed list go to QuickBooks and Beyond, where I am publishing a series of articles that will go into all of the major new features. 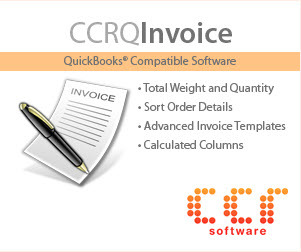 Note that some of these features may be found only in the Accountant versions, or in QuickBooks Enterprise Solutions. Inventory Center: I like the emphasis on inventory in the new product, and the Inventory Center brings together many aspects of inventory control into one convenient place. CRM-Like Features: QuickBooks isn’t a CRM product, but if you are a small business and you don’t have the time to put into installing a good CRM product, there are some features here that can help. Global To-Do List, Lead Center and Calendar are nice features in this area. 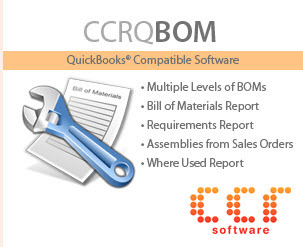 Reporting Improvements: Do you work with QuickBooks reports in Excel, to get them formatted the way you like? There are some great Excel improvements. Also, they’ve added a way to more easily exchange report templates with other users (“Contributed Reports”). Condense/Period Copy: Major improvement here in the condense feature, although you’ll need the Accountant versions to get the full power. Lots to like here. Enterprise Inventory Improvements: Some of these are only available if you purchase the additional Advanced Inventory option. MANY changes here, some that you have to study carefully before jumping in, some that are just baby steps towards some kinds of functionality. 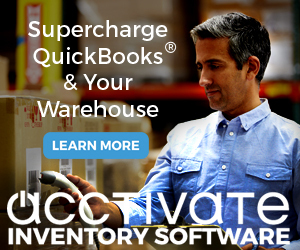 Enhanced Inventory Receiving solves the age-old QuickBooks problem of item receipts by separating them from bills. Automatic Price Markup will be popular. FIFO Costing, Lot Number Tracking and Serial Number Tracking are good starts to solving important problems, but only if you pay extra for the feature. There are many more improvements than this, but these are the major ones that have caught my attention the most. Again, a more detailed list is available in my other blog, along with articles that go in depth on many of the new features. I miss visiting your ‘old blog’ site every few days for an update..even though you so graciously bless us with all the “Charlie in the know” contributions at Sleeter’s Blog Central. Thanks, Murph – most of the new information will be found in QuickBooks and Beyond, but I will be posting smaller “tips and tricks” here on occasion. I just purchased QB 2012 for my new MacBook Pro(OS10.7.1) and cannot get it to print invoices or save them as pdf’s for email or email it directly. It crashes every time I attempt to do this. Just wondering if you’ve heard of anyone else having this problem. I just uploaded QB 2012 on my Mac Pro with VMWare Fusion Windows 7 and finally resolved a few pdf issues. But after going through all the steps and updates, my invoices are still e-mailing as partial images. It worked perfectly fine for many years with QB2009. They’ve been pushing the upgrade and now that I have it, I can’t get it to function properly. I am wondering if I also need to upgrade my VMware fusion. Any suggestions are appreciated. I’m not sure what I will do if I can’t get this to operate since my entire business is on Quickbooks. Nicole, I don’t work with VMWare Fusion, so I don’t have a lot that I can add. Note that the difference between QB2009 and QB2012 is taht the PDF drivers are very different. In QB 2012 it uses the Microsoft XPS drivers. So you may want to look into that. QB should install them, but when you get into “non standard” setups, sometimes it might not. Sorry, Michelle, I hadn’t heard about that BUT I have to mention that I don’t work with the Mac version, so I don’t get a lot of feedback on that. QB 2012 is very new, I’m not surprised that there might be issues. How we crash: from Customers, Create statements, All Customers (gets 19 customers), preview (works and closed), then email gets through about 5 clients, then “Intuit printer library – could not print to the printer, check your printer selection printing may have been cancelled from another program” As this occurs, you see the printer icon come and go for each client, gets about 5 clients through the list (approx 25% on the status bar) before crashing. I have been through the system with a fine tooth comb, removed all the Quickbooks printers and programs, removed all unnecessary printers, and programs, and background programs. This is a fairly fresh XP Pro system, and it ran QuickBooks 2008 perfectly, with no issues at all. Going back to Intuit tech support! Huh? This is a brand new computer and a brand new install of any Intuit product on it. Terry, what did you install from? The CD, or from a downloaded installer? I installed from the CD. I also tried to install the Enterprise 11.0 and it did the same exact same thing. I was able to configure QB to the General Business edition, but not any of the other editions. You should be able to contact Intuit tech support on this one, since it is an installation issue and you have a new product. I would recommend going that route. Has there been any one experiencing issues with QBE 2012 R3? One client has reported some bugs in report formatting changes. Anyone else seeing any issues in inventory? Also, the r4 update is out now and it fixes issues – an article will be available at the Quickbooks and Beyond blog very soon. Layla has it right. Should have stayed with the old program. Version2012 quits all the time when trying to print invoices as stated. The bigger issue is that the older program couldn’t be reinstalled into another computer even if it was the same generation of hardware and software. The registration number won’t be recognized because quickbooks doesn’t support that version forcing the use of a newer version. Seems wrong to not allow you to use what you own but there you go. I can’t speak about Layla’s issue, as that is on the Mac and I don’t work with that. A very different system. Crashing when printing invoices – if you are on Windows, make sure that you are on the most current update (R4) as the older versions have some issues. If you still have problems then we would have to know a lot more about your system (version of Windows, etc.) and be looking at how up to date you are on WIndows updates, and so forth. QB 2012 by itself prints fine (I use it myself), when people have issues it tends to be something out of whack in your Windows environment (QB can be pretty sensitive there), or you need to erase your QB printer config file (it can get corrupted). I install older unsupported versions of QB on occasion and usually don’t run into problems – unless it is a version that has been installed and reinstalled multiple times, so their registration system thinks that you are making too many copies. But, you are right, if you have an older version, they try to push you to the newer (supported) versions. Did they make changes to fields within the tables? We have multiple custom reports thru Access that are now producing duplicate records since the upgrade. Karen, they generally avoid making changes to the programming interface (QODBC, QBSDK, one of which your Access product most likely is using) as they upgrade. If you are using Enterprise and the “custom reporting” ODBC interface, I can’t say if they made changes there. I’m not aware of any. Roe, I’m guessing that you have the Canadian version of QuickBooks? Unfortunately, I don’t work with that version, so I don’t know what the differences are. The articles here are oriented towards the US versions. I can’t email invoices anymore, after installing QB 2012. I get an error message that says I need to install a diagnostic application. I did that and continue to get the same error message. I have restarted the computer a few times but still cannot send pdf invoices. My invoices are mailing as partial pdf. I’m going to try to re-install. After that I’ve tried every suggestion. Not sure what else to do.